Throughout the 2017 season, we’ve reflected on our 25th anniversary in combat sports with tremendous pride in our own achievements and respect for the ever-changing sports’ landscape. Adjusting and adapting is never easy. There are certain realities that become difficult to face over the course of time, but you can either choose to carve your own path on the sports’ winding road or fold up shop and find a purpose in life. We chose to create our own niche. Here we are, 25 years later, as one of the leaders in a competitive industry, bringing our fans quality entertainment combined with the kind of cutting-edge technology that has also enhanced our viewers’ experience in the fast-changing multimedia digital age. At the root of it all, nothing is more important than the product in the ring. Boxing fans are as demanding as they come and they expect quality, competitive fights. They develop rooting interests in our fighterss and are granted access to the personalities and talent unseen in any other professional sport. Our athletes aren’t just boxers. They’re fathers, cousins, brothers, workers, laborers or even military veterans. Being in the ring, even for just a handful of fights, is a humbling experience and it brings our fighters much closer to our fans. CES Boxing is a family-owned company and we stress the importance of family, faith and hard work in everything we do. Tomorrow is our season finale, our official 25th anniversary party at the beautiful Twin River Casino, a fitting stage for our 2017 exit. This venue has been the home for many of our most memorable moments and we’ll take some time tomorrow to reflect on the highlights and heroes and all the people who’ve made a difference through the years to keep the engine running behind the scenes. Many of our fighters, both past and present, will be in attendance, from former Olympian Jason Estrada to female world champion Jaime Clampitt, plus Kippy Diggs, Matt Godfrey and Gary “Tiger” Balletto. We’ll also be joined by some of our budding MMA stars, including Gary Balletto Jr. and John Gotti III. More importantly, we’ve put together another stacked fight card to close the year in style. One day, 25 years now, we look forward to celebrating 50 years with some of the names you’ll see in the ring on Dec. 7th, starting with Worcester’s Khiary Gray. The humble, hard-working Gray is moving down from 154 pounds to 147, a major step as he looks to revitalize his career in a new weight class. Standing in his way is the hard-nosed Greg Jackson of Philadelphia, a true champion from the City of Brotherly Love cut from the same cloth as Philadelphia’s greatest ring warriors. This main event is a classic in the making with both fighters looking to reach the pinnacle in 2018. A win tomorrow puts them on the right path. With this being our 25th anniversary celebration, it’s only fitting we feature another epic female bout. CES Boxing has been one of the leading advocates for female boxing over the last quarter. We featured female fighters as headliners during an era in which other promoters wouldn’t give women a chance. We’re proud of the work we’ve done in this field and we’re proud to feature Marshfield’s Aleksandra Magdziak Lopes, one of many pioneers in this sport, in an exciting clash with Ontario’s Natasha Spence. Many of our fan-favorites are also back in action, including rising stars Jamaine Ortiz, Kendrick Ball Jr. and Anthony Marsella Jr., all of whom boast undefeated records. Likewise, we continue to span generations as we present the Rhode Island and Twin River debuts of Bobby Harris III and Jarel Pemberton, the sons of two former all-time greats. Jarel’s father, Scott “Sandman” Pemberton, thrilled crowds for many years under the CES Boxing banner and Bobby’s father, Bobby Harris Jr., turned heads as one of the founding fathers of boxing in Worcester. This is a night of celebration and remembrance. We are also honoring longtime sports broadcaster Ken Bell as this year’s inductee into the CES Ring of Honor. 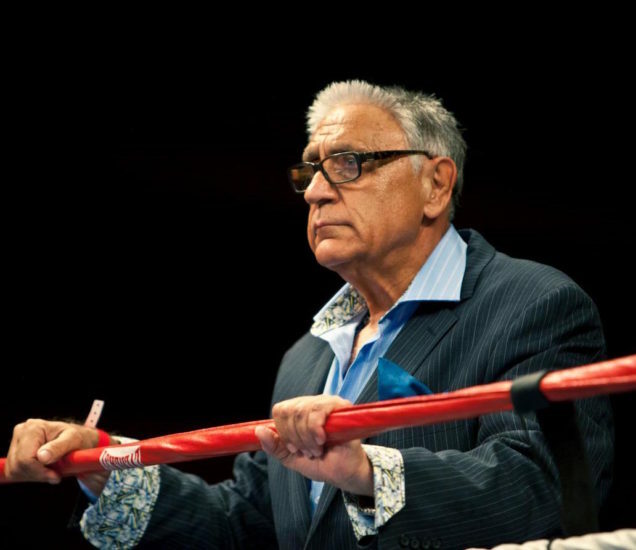 For years, Ken sat ringside to bring our fans all the current news and information on our rising stars and helped develop otherwise unknown fighters into household names. One thing is certain: 25 years is just the beginning, so while we honor the past tomorrow night, we also have our eyes on the future as we look to bring you another quarter century of the best in combat sports.